At first glance, these may just look like ordinary, stacked shipping containers. But once you step inside, you’ll find they're much more. “It’s not like anything else we have in Wichita,” said Emma Kutler, who visited Revolutsia with friends. 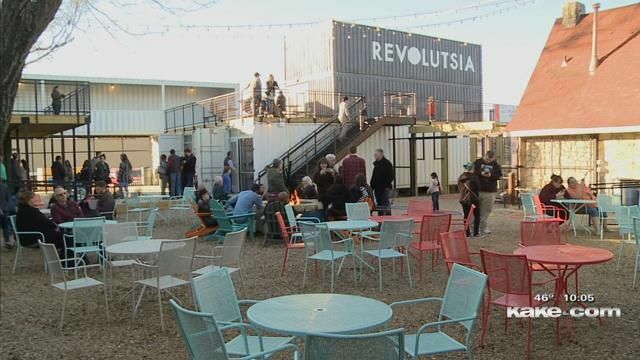 Revolutsia is a shopping center built entirely of shipping containers. It boasts both retail and restaurants. While some of the businesses have been open for a month or so, the official grand opening was on Black Friday. If Wichita dreamed big, what would downtown along the river look like? Downtown Wichita lacked a beach. So they made one.